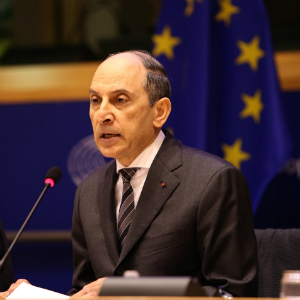 Qatar Airways Group Chief Executive, His Excellency Mr. Akbar Al Baker, has today marked a world first by becoming the first airline leader outside of the European Union to personally address the European Parliament’s Committee on Transport and Tourism (TRAN). This honour provided H.E. Mr. Al Baker with the opportunity to update the European Parliament and the TRAN committee, including its current Chair, Madame Karima Delli MEP, about the ongoing blockade against the State of Qatar by the Kingdom of Saudi Arabia, the United Arab Emirates, the Kingdom of Bahrain and Egypt. Qatar’s national carrier was voted Skytrax ‘Airline of the Year’ by travellers from around the world, the airline also won a raft of other major awards at the 2017 ceremony, including ‘Best Airline in the Middle East,’ ‘World’s Best Business Class’ and ‘World’s Best First Class Airline Lounge’.